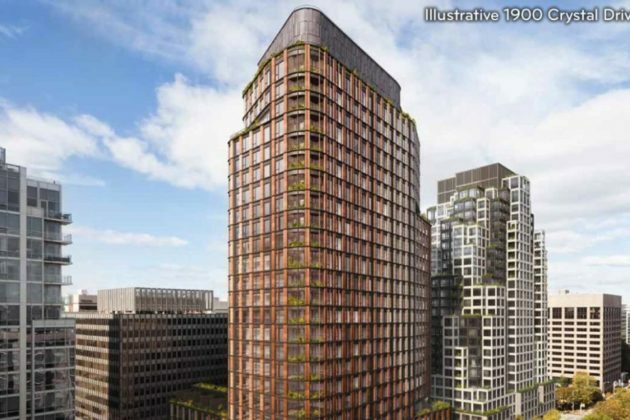 (Updated at 1 p.m.) Amazon’s arrival in Crystal City and Pentagon City seems set to completely transform developments already planned for the area. 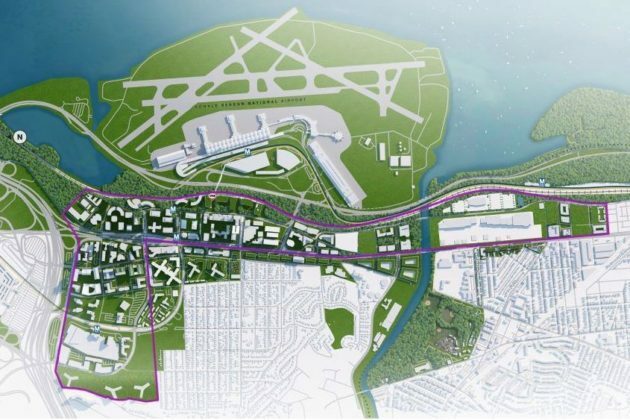 The company’s big announcement today (Tuesday) that it would split its planned second headquarters between Arlington and New York City represents a major windfall for JBG Smith, the largest property owner across the newly dubbed “National Landing” — an area including Crystal City, Pentagon City and Potomac Yard. 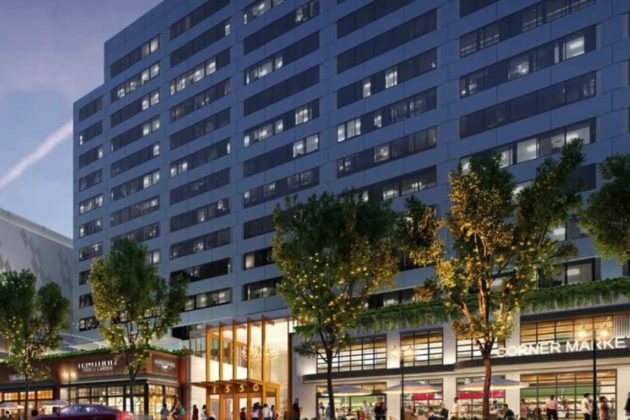 The developer had long sought to fill thousands of square feet of vacant office space in the neighborhoods, much of which will now presumably be occupied by Amazon’s 25,000 workers attached to the project. 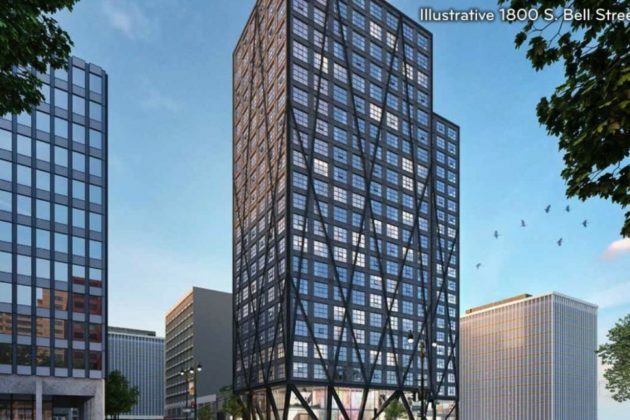 But renderings posted online suggest that JBG will also tweak developments already in progress to suit the tech giant’s needs. The new “NationalLanding.com” offers a virtual tour of the area, and promises that the developer “intends to accelerate the planning, entitlement, and development of several projects” to meet Amazon’s arrival in the area — the company expects to occupy anywhere from 4 million to 8 million square feet in office space over the life of the new headquarters. Lease approximately 500,000 square feet of existing office space at 241 18th Street S., 1800 S. Bell Street, and 1770 Crystal Drive. 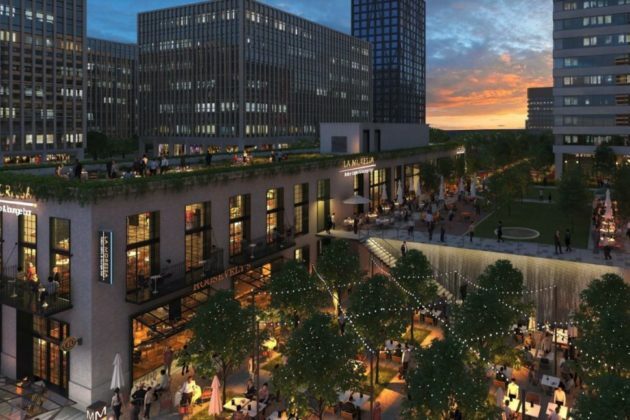 Purchase Pen Place and Met 6, 7, 8 land in JBG SMITH’s Future Development Pipeline with Estimated Potential Development Density of up to 4.1 million square feet. JBG SMITH has the right to time the expected closings of the land parcel sales to facilitate 1,031 exchange opportunities. 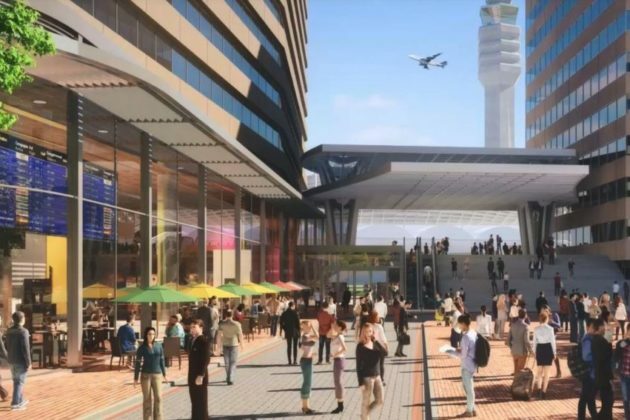 The new renderings include a “multimodal transit hub” located near the pedestrian bridge linking Crystal City to Reagan National Airport, which Amazon has volunteered to help build as part of the project. It’s unclear where exactly the hub will be located. 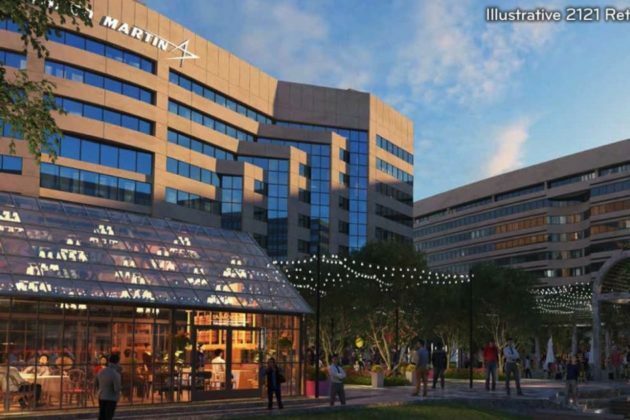 The renderings also center around a second entrance for the Crystal City Metro station, an amenity long sought by the county but once seemed out of reach due to funding constraints. 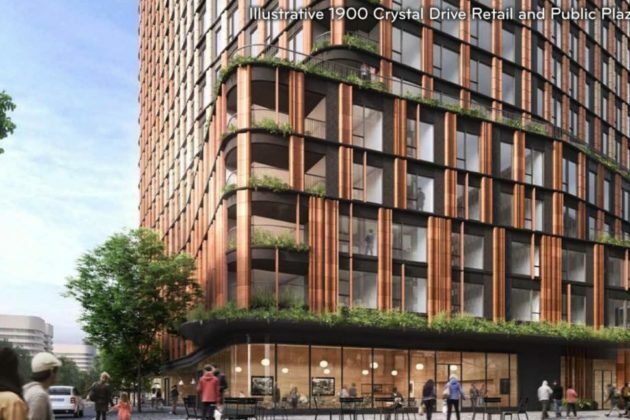 JBG Smith is currently working on a redevelopment of the area dubbed “Central District,” and those plans included a controversial proposal to build retail space over the new Metro entrance. New sketches suggest that the developer may push ahead with those plans, now that the construction of the second entrance is assured. Also on the way for the area is a helipad, according to the county’s memorandum of understanding with the company. 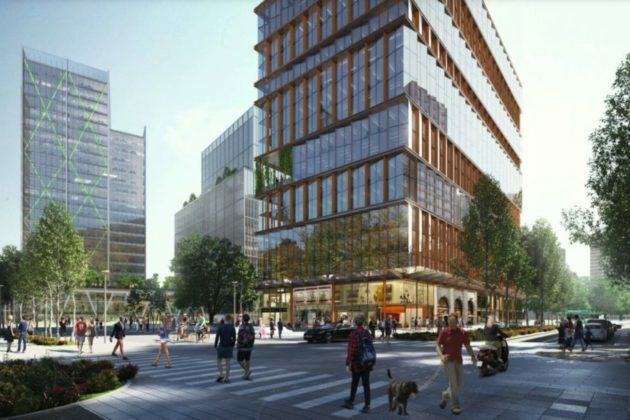 “Arlington County staff will assist Amazon in its efforts to obtain required County Board, commonwealth and federal approvals for the development, construction, and operation (at the company’s expense)” of the project, according to the memo.